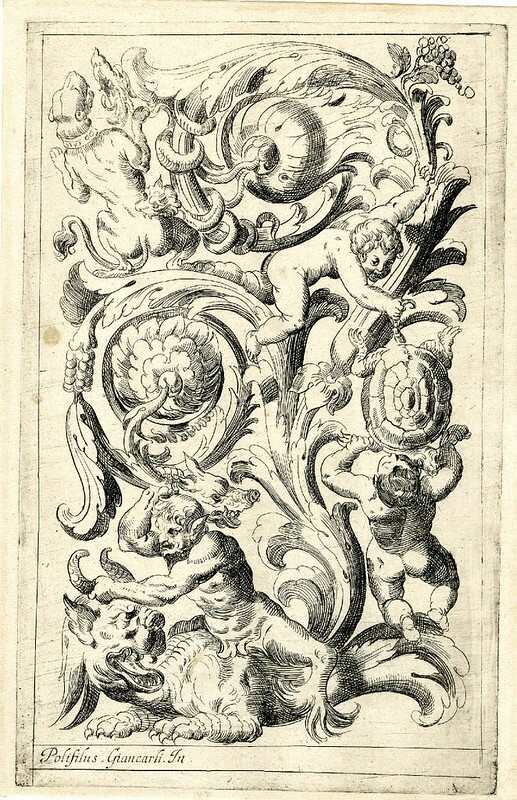 The imaginative prints above come from two sources and are in two forms*. The majority are from the British Museum, the rest from the Harvard Art Musuem. 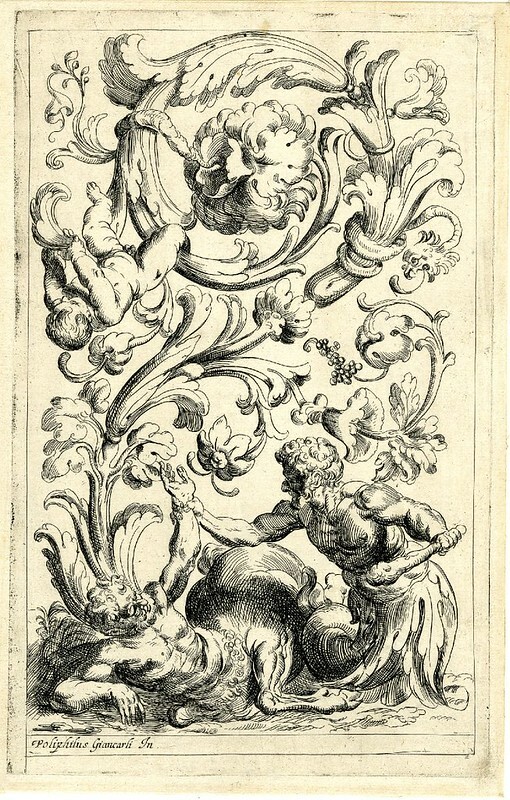 About half of the images above are original etchings by Odoardo Fialetti (after designs by the Venetian ornamental designer, Polifilo Giancarli [or Zancarli]). 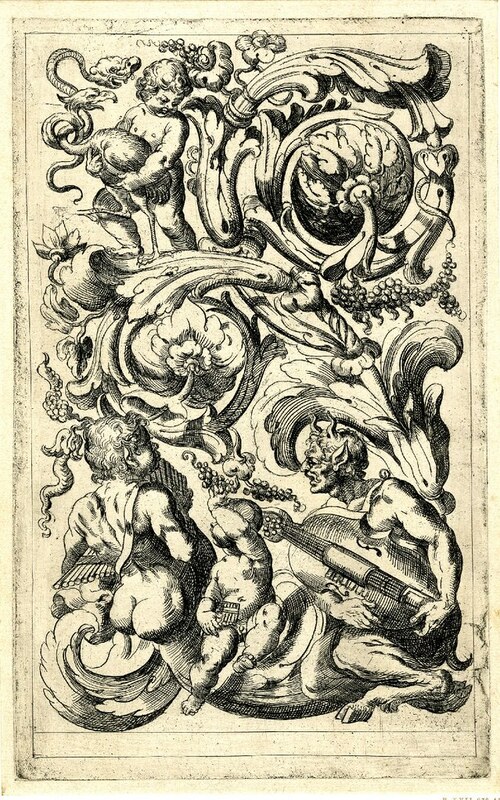 The other half are reversed - and modified - copies of Fialetti's etchings, produced in the late 1620s. 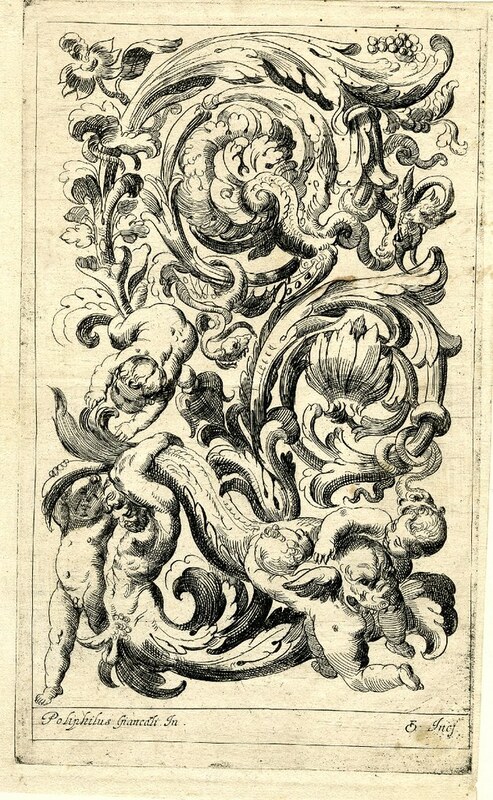 "Among the earliest manifestations of Baroque style in Venetian prints, this suite of fantastical arabesque designs for ornament was meant for the use of artists and decorators. 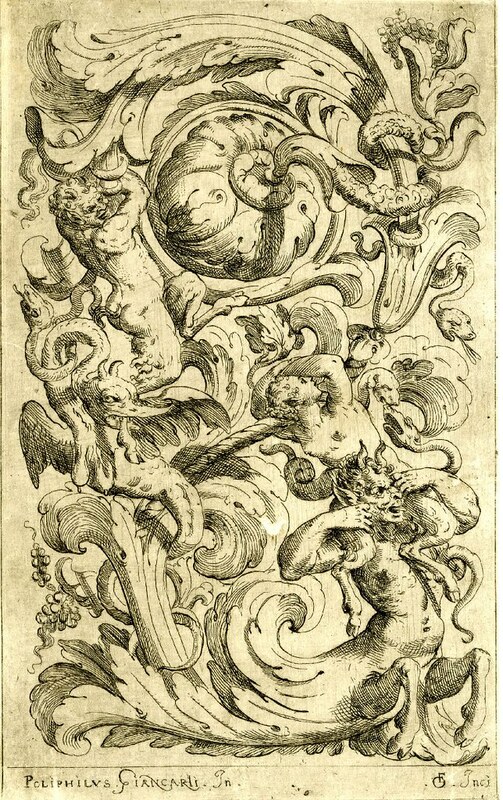 Strikingly witty and animated, and still utilizing elaborate Mannerist elements, the plates incorporate putti, satyrs, tritons and others among the swirling foliate forms. 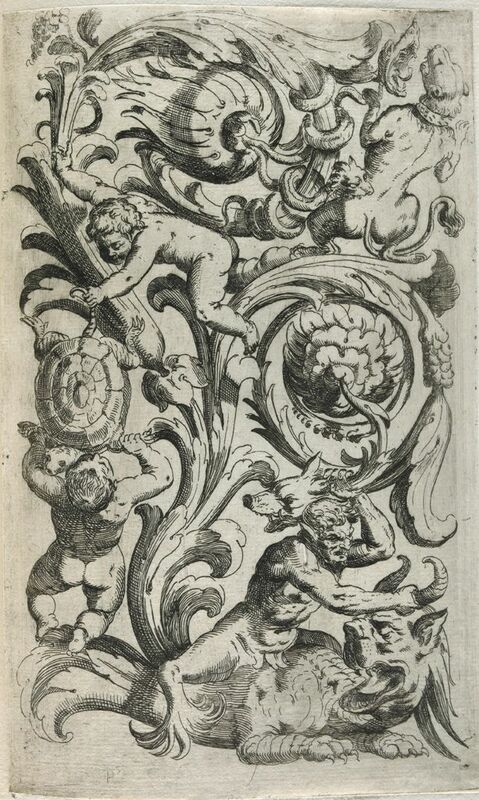 The ornamental designer, Polifilo (Giancarli) Zancarli was active in Venice between 1600 and 1625 and although a couple of hundred of his prints survive, little seems to be known of his life. 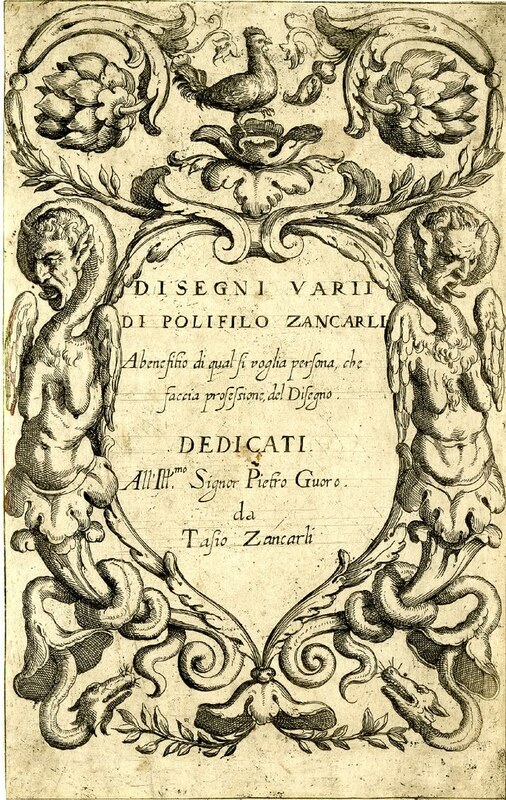 Polifilo Giancarli's name does appear, at least, in the records for some theatrical productions in his home town. 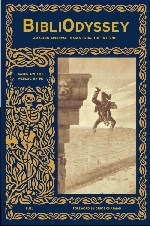 His uncle, Tasio, is mentioned in the title page of the present suite and he likely funded and published the project. 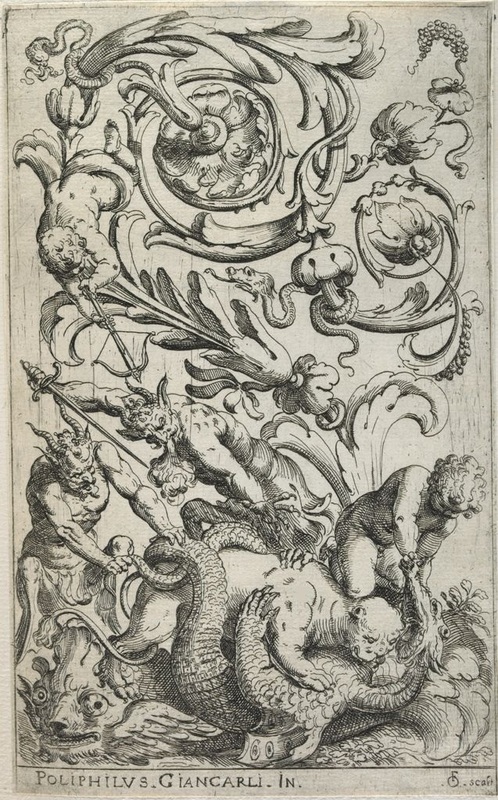 On the other hand, Odoardo Fialetti (d. 1638) [W] was a well known and prolific printmaker in Venice. 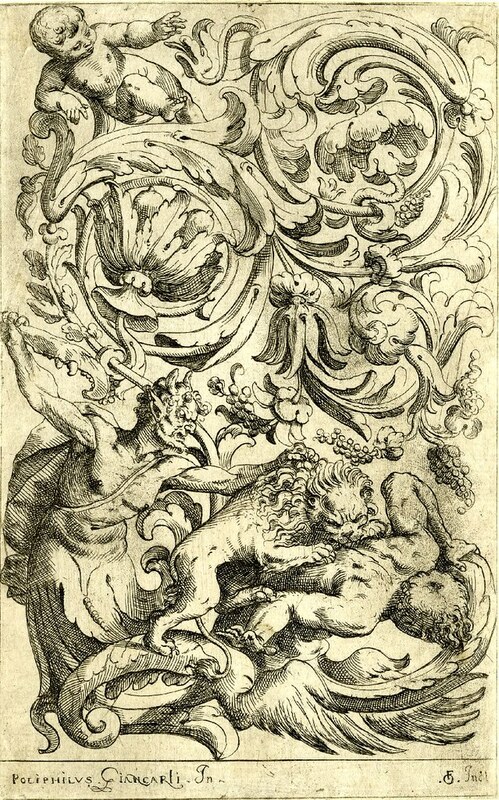 His range of output was quite diverse: from anatomical illustrations to classical mythology scenes to mixed, complex ornamental engravings in similar styles to those seen above. 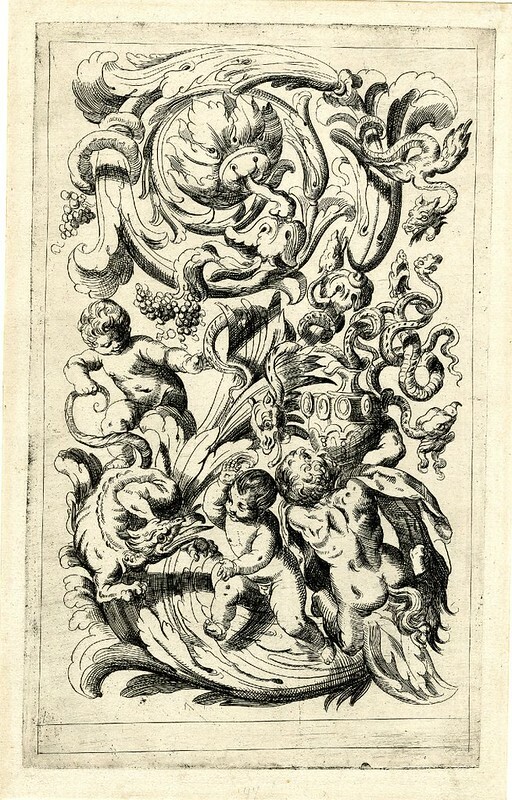 He produced some of the earliest forms of Baroque ornamental prints and helped spread the ornate style from Italy to England. ADDIT: Forgot to mention: this post come circuitously via random image seaches, inspired by KJBishop and Jahsonic, both of which are target-rich environments for anyone inclined towards the visually evocative. And if you're reading this and you're not in that category, then you've already taken the wrong train my friend. and by the workmanship he must have love this work. It's a good thing I'm not into tattoos. I'd be covered in this sort of thing.